4 films from Gunvor Nelson on Blu-Ray, including a 69 page booklet. “Call to Mind” contains the films MY NAME IS OONA (1969), TIME BEING (1991) and RED SHIFT (1984), a trilogy with the family as a theme. TRUE TO LIFE (2006) functions as a separate comment on the other films. The Blu-ray box includes a catalog with texts by Astrid Soderbergh Widding, Susanne Forest, Steve Anker and John Sundholm, in Swedish and English, as well as a large number of still images. 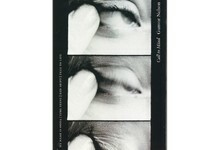 Gunvor Nelson's work has been exhibited at the Moderna Museet in Stockholm, the MoMA in New York and Cinematek worldwide among other places. Now Filmform has made a selection of her films available on Blu-ray. Nelson who over the years has created some thirty films and video works ranging from 1953 and 1993, primarily in California but currently lives and works in her native town of Kristinehamn.